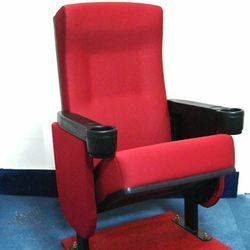 We are reckoned as a prominent manufacturer, supplier & exporter of Cinema Chairs. Our range of products are highly demanded amongst our clients as these chairs are made using best quality raw material sourced from reliable vendors of the industry. Apart from this, these chairs can be availed at very reasonable rates via hassle free payment modes. Avail from us a wide range of Cinema Theater Chairs, as we are engaged in manufacturing, supplying and exporting these chairs in bulk as per the requirement of our esteemed clients. Our Cinema Theater Chairs are widely used in Auditorium & Cinema Theater. 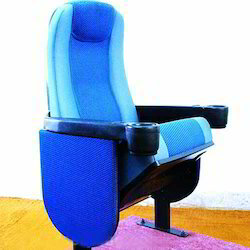 These Cinema Theater Chairs are offered with various specifications and features such as upholstery stick to seat and back rest foams. We are engaged in manufacturing, supplying and exporting a wide array of Custom Cinema Chairs. We offered these Custom Cinema Chairs in various colors and attractive patterns. Our Chairs are highly praised amongst our clients for its long lasting performance and cost effective nature. These Custom Cinema Chairs have various features such as it has esthetic metal legs and wooden arm rest. 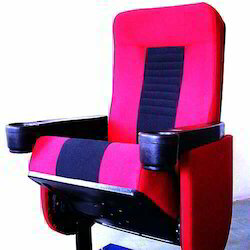 Moreover, these Custom Cinema Chairs can be availed at very reasonable rates via hassle free payment modes. With vast customer support and rich industrial experience, we are enlisted as leading manufacturer, supplier and exporter of wide collections of Cinema Chairs. Our Chairs are fabricated using high grade material that is sourced from the certified vendors of the industries. These Chairs are widely demanded amongst our huge clientele as these chairs find its wide applications in various theaters due to its high level of comfort. Looking for Cinema Chairs ?